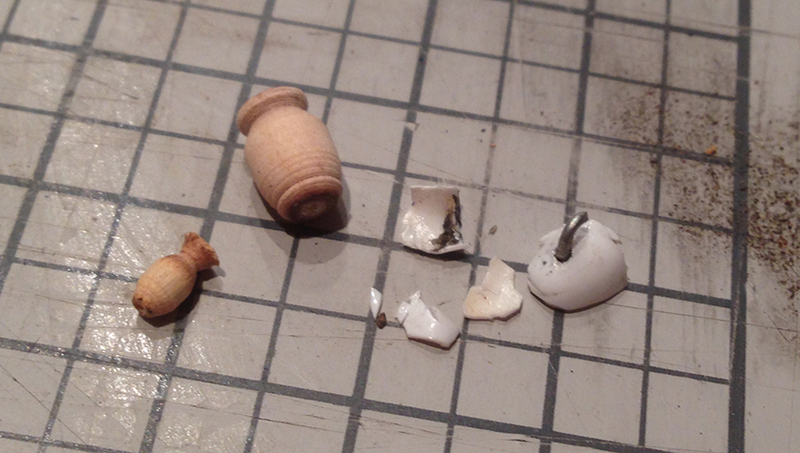 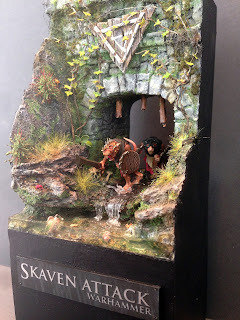 Being in a fantasy mood this time of the year, I've started a new diorama with skavens (from Warhammer world). I bought a kit from Games Workshop and painted four of the skavens. 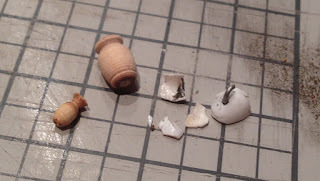 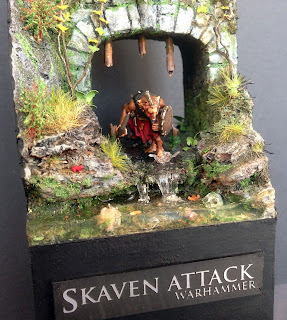 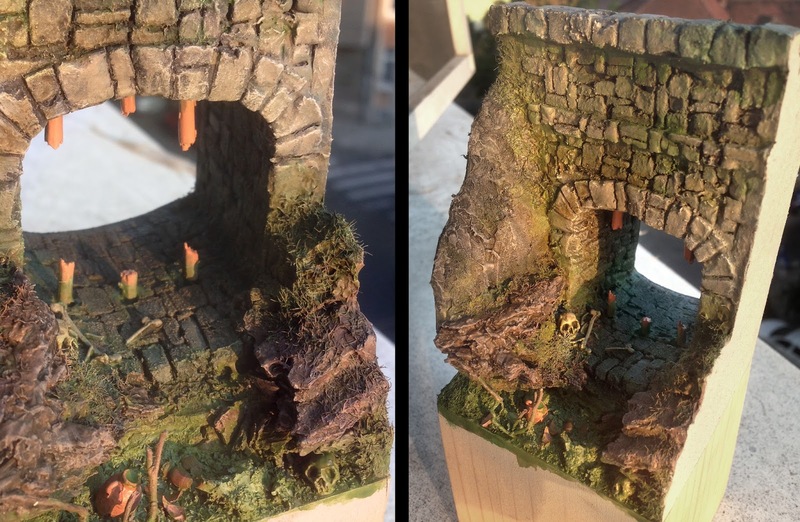 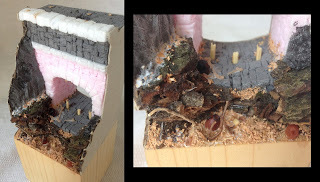 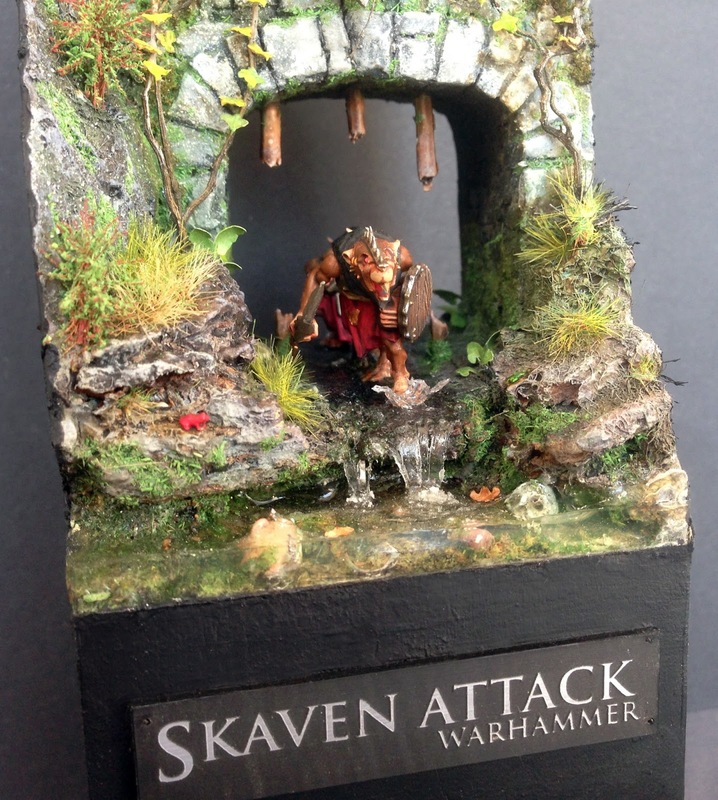 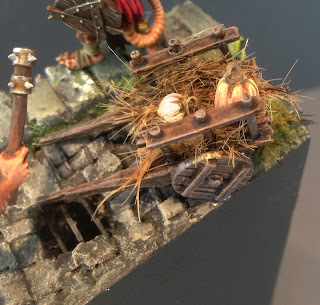 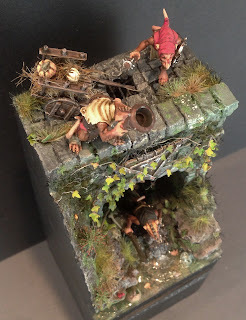 As a short description, my diorama will illustrate a castle sewer, with pluvial water, three skavens running out and the forth one, with a bell in his hand summoning all the skavens to attack. For the castle part I am using high density foam. 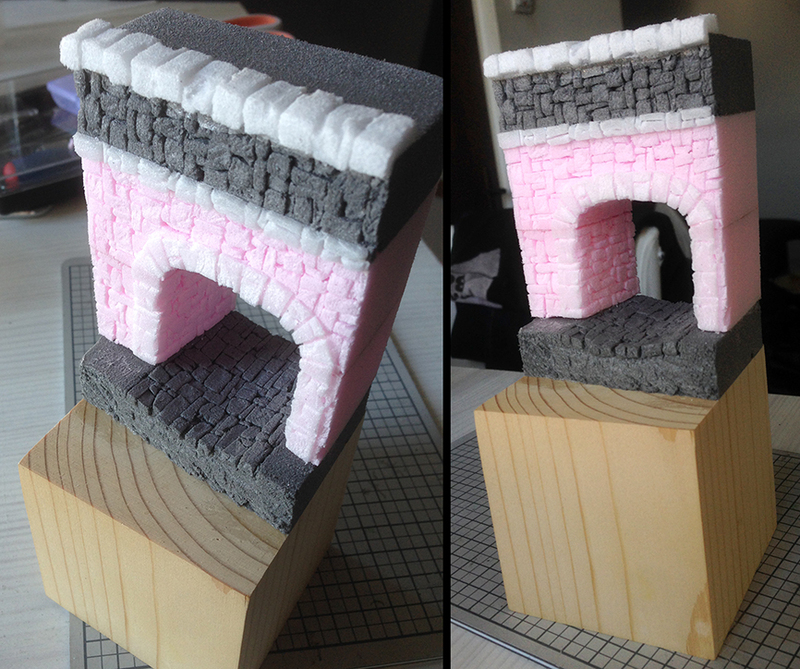 I used two types of foam only for the size but once with that I discovered that the grey one is softer, the pink one is elastic (not so good for detailing). 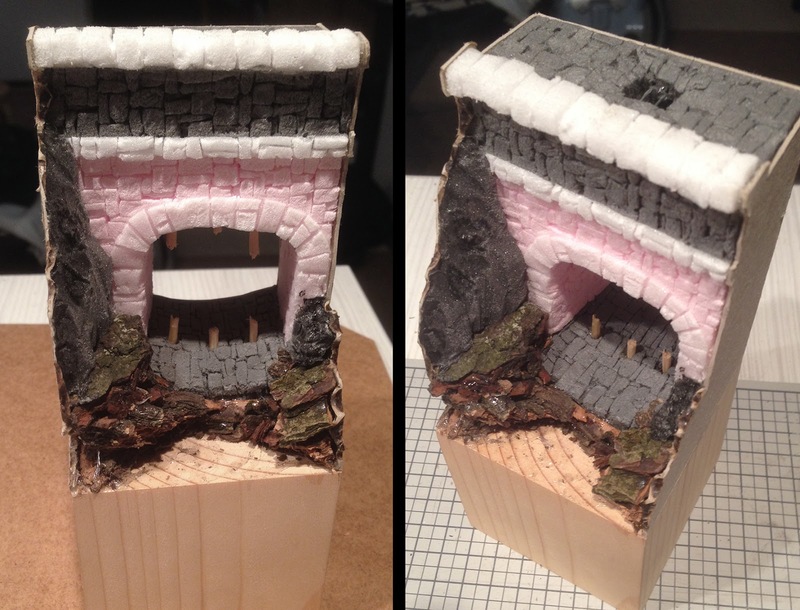 I added some wooden railing which were broken by skavens good while ago, the terrain is made from bark (I liked the texture) and more foam on the left for the mountain rock or something.